One of the most marked differences between the liturgy before the reforms of the 1950's and after, from the point of view of the faithful, was that for possibly the first time in the Church’s history, they were able to receive Holy Communion on Good Friday. 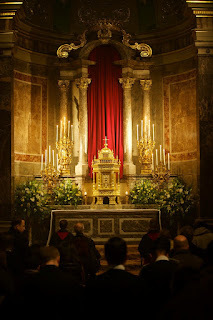 A consequence of this was the almost total demise of what, in English, is known as the “urn” -- or capsula in the missal. 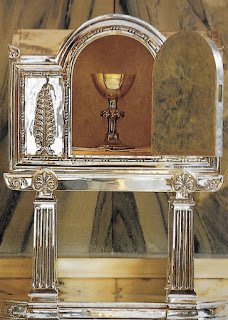 There other names; Fortescue simply describes it as “a little box.” Obviously, such a thing would be too small to contain the ciboria necessary for Communion for the many hundreds who frequently attend on Good Friday. What is the urn? 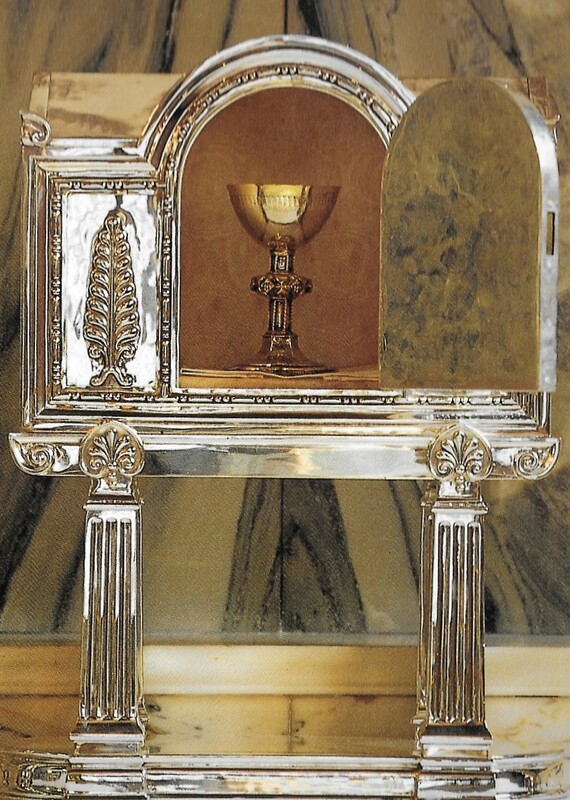 Why not use a tabernacle? We might perhaps consider a couple of theories on that subject. 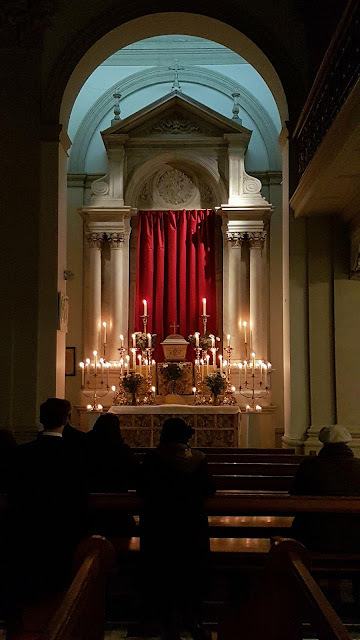 The most significant is that the altar of repose is not, in fact, an altar; and the urn is not a tabernacle (even if one of the latter is used as the former): there is no veil: already Our Lord is stripped of His garments. Back, however, to my previous statement. 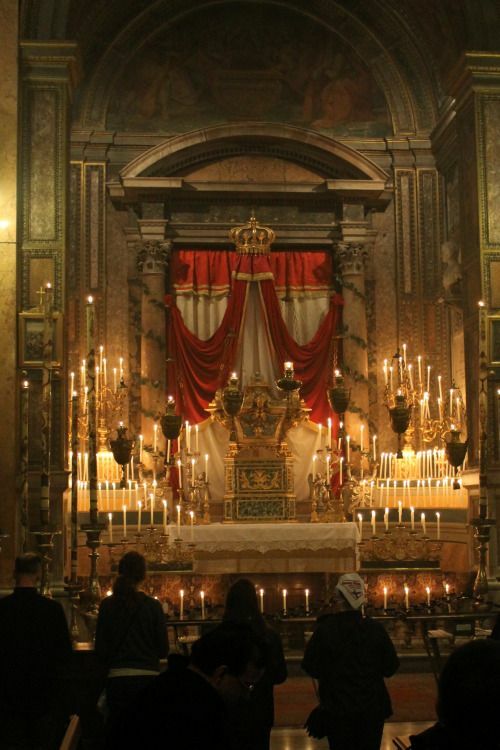 Late though the procession and reservation may be, it still pre-dates the profusion of many side altars in our churches and provision for tabernacles on said side altars. Therefore something temporary would have to be put up for that brief period. 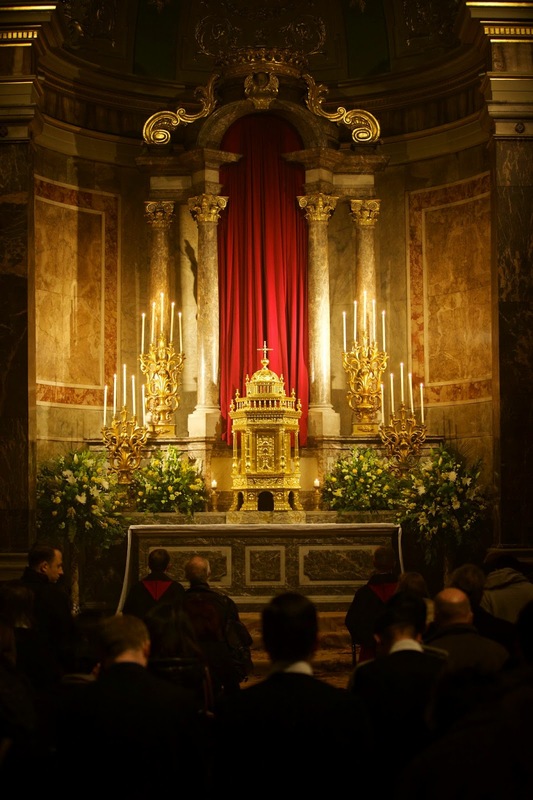 The missal initially refers to it as a “locus aptus” and then gives the option of an altar. 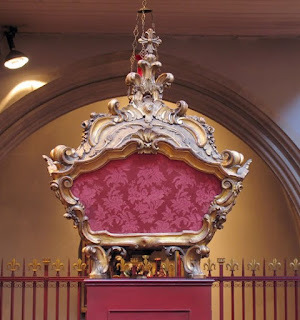 Another interesting point that Fortescue makes about the locus aptus is that there is no mention of a cross being placed there (though often the urn is ornamented with one on its top); another sign that this is not somewhere for Mass to be celebrated. Also, the urn is not generally made of metal (though there are exceptions to this, such as Bentley's urn at Westminster Cathedral); they are wooden and gilded. Again: a simplification. 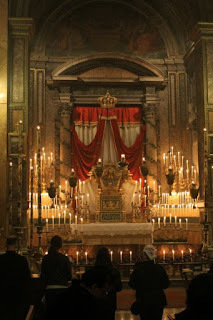 Several sources also state that the urn should be elevated (specifying the provision of steps for the deacon to place the chalice in the urn). We can see there influences of forty hours and also Our Lord being high and lifted up and drawing all to Himself.